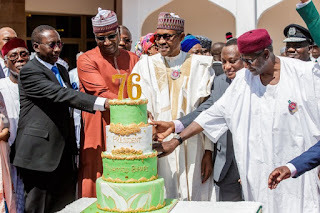 News Reno Omokri: Why Didn't Aisha And Her Children Celebrate Buhari’s 76th Birthday? Reno Omokri: Why Didn't Aisha And Her Children Celebrate Buhari’s 76th Birthday? The PDP ranting machine, Reno Omokri asked why Aisha Buhari nor any of her children wish their Husband and Father happy birthday as he clocks 76 today.